Orangeville Prep VS DYouville Panthers Sights and sounds from Thon & Matur Makers high school debut on Canadian soil! Orangeville came out with the victory 73-52. D’Youville did not back down, but in the end too much size, too much talent. TOP Canadian Prospects include Jalen Poyser, Jamal Murray, DamiAnn Prehay, Alonzo Walker, Christien Gould, Keshaun Saunders + more! Follow @NorthPoleHoops for latest in Canadian basketball action! 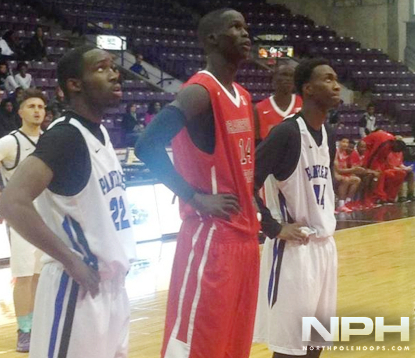 Thon Maker vs Josh Jackson – NBA Prospects Battle in Canada! NBL Canada All-Stars Announced, Includes Six Canadians!